James McMaster at McMaster Yachts is offering the 51.7m sailing yacht Red Dragon for charter in the Caribbean this winter. Sloop-rigged, she was designed by Dubois, built at Alloy Yachts and launched in 2008. She has a magnificent contemporary interior by Wilmotte & Associates accommodating eight guests in four cabins and a gym. McMaster Yachts have managed her since her launch and she has been impeccably maintained. Already a well proven global explorer, she is in exceptional condition. 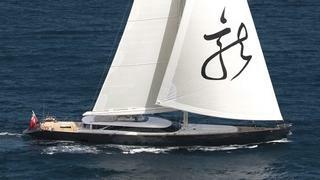 Weekly charter rates on Red Dragon in 2012/2013 start at €200,000 per week.